Samantha Masabny grew up outside of Philadelphia (Go Eagles), started her career in Radio in Philadelphia. After college she pursued a career in Television and Real Estate in New York. In 2010, she moved to Massachusetts with her husband Rob where he started his career at HubSpot. Sam joined HubSpot in 2014 as a Customer Success Manager. In 2017, Sam and Rob welcomed a beautiful baby girl. 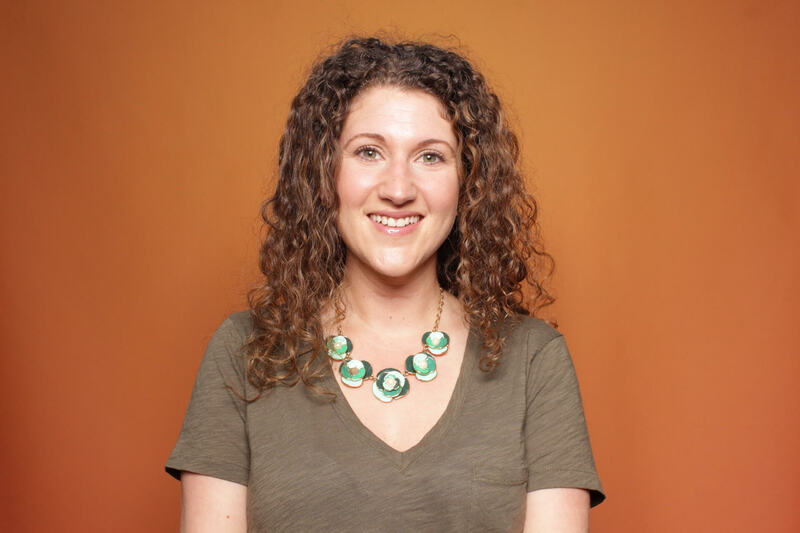 Shortly after returning from maternity leave, Sam moved over to HubSpot Sales as one of the first Customer Growth Specialists dedicated to helping HubSpot customers explore additional products and services to help them grow better. Sam and Rob also own and operate a luxury vacation rental property (Dove Way, ME) on a lake in Maine and in 2019, they will be expanding the property to include their life long dream of owning a Pete Nelson designed and build 4 season luxury treehouse rental that will be known as The Woods, ME. Mindfulness did not play a role for me growing up. For most of my childhood my mom was a single mom of three working full time with two other jobs as my father had passed when I was just 10 months old. It was only about 10 years ago when my mom became sick was I introduced to the concept of mindfulness. She would tell me how she starting doing “mindfulness” practices to help her with pain and stress. She would also draw as a method of mindfulness getting lost in her amazing artwork. At the time, I thought it was really a bunch of nonsense. How could chanting and drawing facilitate a real change or shift in her mind, pain level, or anxiety? But I have to say over the course of a few years I did see a shift in her personality, how she handled things. But still never thought it would or could work for me. One of the most important lessons I have taken away from practicing mindfulness is that when I feel stuck in life, confused on what to do, feel stressed, or that it’s all just too much, I pause and ask myself, “Do you feel like you are swimming upstream?” If the answer is “Yes,” I know I am on the wrong path, and moving in the wrong direction. Through meditation and spiritual practice I have learned the concept of faith. By faith I don’t mean it in the religious sense, but rather this idea of “turning my back and moving with the current.” Having faith that if I make a conscious decision to avoid the friction upstream, and allow myself to be carried by the current, it leads me to where I want to be — and in a happier place. This is not to say it’s a calm, blissful stream carrying you down a river. It can be bumpy, scary, fast, and there may be a few giant waterfalls, but you’re moving in a natural direction and you’ll come out on the other side a happier human. I have a long way to go to be more diligent and disciplined with mindfulness and spiritual practice. But I am aware of that. I have seen what happens when I prioritize mindfulness and spiritual practice. I find when I have the time (or should I say make the time) to be more consistent in practice the best way I can describe it is like being in the matrix. It truly depends on how you look at success. If we are talking about being successful in my career, being a mom, and a wife — I find that when I am focused and driven on being successful at those things, oftentimes my mental health, spiritual and mindful activities fail. I have so much going on that self-care falls off the priority list. And, this is probably the time when I need it most. What I’ve learned through experience is that it’s critical for me to shift my priorities and carve out time so I can include spiritual and mindfulness practices. Because when I do, I am a better and happier person which translates to being a better mom, spouse and employee. But I still struggle with the implementation of this practice and finding the time (or should I say making the time). Having perspective. My husband always reminds me that life is all about perspective. The lense in which you choose to look at something through can dictate how you respond, how you interact, how you can change, and how you can grow. Having perspective is key to leading a good life. Having an genuine openness to look at people, situations, opinions, and experiences through a different lenses can help you be a better and happier human. I personally feel, with all the loss I have had in my life, I am more blessed now then I have ever been. I feel those I have lost do more for me where they are now then they could have ever done while still on this earth. It was not until I started my mindfulness journey did I come to realize this, and overtime be comfortable in this perspective. I still talk to them everyday (in meditation and outloud) they just respond differently now. I made a choice to have the perspective to embrace the loss as an opportunity to take me on a journey to where I am meant to be. Losing my mother when I was 28. My mother was my world, my compass, everything that happened in my life my mother was a part of. And when she passed, my compass was completely shattered in just one instant. The needle of my compass (mom) that guided all my decisions in life no longer existed. For years I struggled to fix that compass, make it whole again. Put it back together so I could find my path and get back on track. For years I felt lost, broken, and unsure how I could get back to where I wanted to be. What I decided to do was turn to meditation. I saw that it had helped my mom the last year of her life, maybe it could help me. I joined an 8 week guided meditation series called “Meditate with your Angels”. As a group we would learn about different spiritual guides (in this case Angels) and would do 45 minutes of meditation each week. It was a deeply emotional journey over 8 weeks, and it was life changing. Through this journey I came to realize I would never be able to repair the compass. t was broken. And, not mine to repair. But I came to realize that I was my own compass.I needed to stop thinking about how I could fix, change or go back to the way things were. I needed to grieve and heal my soul. Pausing from the world around me and giving my brain room to breathe. This 8-week period would be the start of a larger spirital journey to who I am today, and how I believe I have come into the person I want to be. I don’t want to attribute my success to one single person. I feel it takes many people to help shape who you become. My parents and grandparents were the foundation of my life, when I lost them all in a span of a few years it was life changing. Their hard work and sacrifice put me in the a position of where I am today. But if I had to call out one person who has forever changed my life, stuck with me through my loss, supported me in my mindfulness and spiritual journey, encouraged my personal and professional growth, been my cheerleader, my business partner, and best friend. It’s my husband Rob. I would not be who I am, where I am, and where I am going if it was not for him. A funny story about us. 10 years ago we owned a two bedroom in Jersey City Heights, New Jersey. I had just gotten laid off. The housing market collapsed and we were both out of a job- no income, companies were not hiring, no light at the end of the tunnel. It was summer, and in between applying for jobs we would climb up to the tar roof of our apartment building. We would lay down a few towels, put on music and talk about the future. We discussed our dreams of owning a bunch of land (maybe in Maine), that one day we would build a luxury treehouse designed and built by world renown treehouse builder Pete Nelson. How we would run a little real estate empire of treehouses, and together work to build something bigger than ourselves. But then reality would hit us, we need a job to get there. Slowly we chipped away at our dream. First, making the move back to Massachusetts, we swallowed our pride and lived with my brother in law for a year (the same year my mom passed), and after almost 2 years of unemployment I landed a job.Rob took a job selling cell phones and a few months later he started at HubSpot, and 3 years after that I began my career at HubSpot. Fast forward to today and Rob has been at HubSpot now for over 8 years, and I have been here 5. Our journey illustrates how people can transform their life if they feed their souls with support, love, and respect. We are a team, and life is our superbowl. Me without him would not allow me to be where we are today. We now own land and vacation rental house in Maine. In addition, this summer we are finally building our 4 season 2 bedroom/ 2 bathroom Luxury Treehouse designed and built by Pete Nelson and Nelson Treehouse supply, which will be open for rent in Summer 2019. What began as a silly dream on the tar roofs of a Jersey City apartment building is now our reality, and it’s because of the people that came before me, and my husband working hard for us (and with me) that has brought me to where I am today. Be empathic — Understand your employees and peers have lives outside of work. In fact, the way people work and live today has drastically changed and companies should encourage employees to build their work around their lives, not the other way around. When you practice empathy and understand employees as humans, it can help explain a lot about how they are motivated and how they perform. Be human– Similar to the above, being human allows you to see employees beyond just a number in an office. When employees feel as though they are cared about, their engagement and productivity will increase. My own sister had been working at a company for years being subject to verbal abuse from her boss, she expressed they use derogatory words and terms about her and others sexual orientation. She has remained at this firm in NYC for years. Working hard to hone her craft and skills and trying to grow within her industry (in the ruthless NYC ecosystem). She finally had enough. She walked in and quit. She was forced to make a decision between her career and feeling like a respected human. Today she is still looking for a job, but it can be challenging in New York. I look up to her bravery to choose her happiness. But I hope leaders can find a way to be BE HUMAN so no one else ever has to make this choice. Invest in programs and measure the success of them — Building and fostering a healthy and uplifting work environment doesn’t just happen. It takes time, effort and investment from every single employee. You must invest in providing resources and programs for employees, but even more important, you have to take the time to reflect and measure their effectiveness and be willing to iterate to improve. Be inclusive — What is healthy and uplifting to one individual, may not be to another. Inclusion and belonging isn’t a one size fits all solution.Be sure to offer a range of programs and support mechanisms to ensure the system is inclusive and working best for the individual. I want to say helping children who have lost parents, but frankly helping people who lose anyone. To be blunt we can’t escape loss. It’s an inevitability that we all face. It’s the most painful, relentless, earth shattering experience humans go through. I feel if we could come together and try to understand each others experiences- no matter what your faith or religion — we could learn how to better support and understand one another as humans. It’s a topic no one ever wants to talk about, but it’s probably the most important thing you can do. Stemming from her own experience, my mother made it known what she wanted from us when her time came and therefore always talked openly about death. I hated the conversations, but it made the process more manageable when she passed. In addition, losing someone can also be a beautiful and natural process (painful nonetheless), but it’s important to understand it’s not always tragic.